EE converts 3G to 4G to boost smartphone speeds and lay the foundation for its 5G launch. Ahead of its upcoming launch of 5G in 2019, EE is turning 3G signals into 4G on more than 500 mobile towers in the next six months to enable maximum performance on this year's top smartphones as customers increasingly demand high speed mobile data connections. The network operator, which is part of the BT Group, is converting mobile spectrum from carrying slow data and calls on 3G to provide customers with superfast data and crystal-clear calls on 4G. 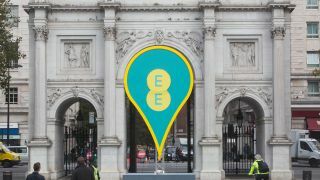 By using the 3G 2100MHz spectrum to power 4G, EE will give the upgraded sites five 'carriers' of 4G which is more than any other operator in the UK. The latest smartphones can support connections to all five of those 'carriers' at the same time which will improve both their mobile data speed as well as the reliability of their connections. The sites that EE has chosen to upgrade from 3G to 4G are hotspots in its network where there is the greatest demand for mobile internet. The sites are spread across London, Birmingham, Manchester, Bristol, Exeter, Hull, Nottingham, Edinburgh, Glasgow, Cardiff and Belfast. EE's 5G network will go live in 2018 and 5G sites will be built on top of the upgraded sites with maximum amount of 4G spectrum in the busiest areas.